Collecting pine cones can be a fun pass time especially if you end up using them for craft projects. 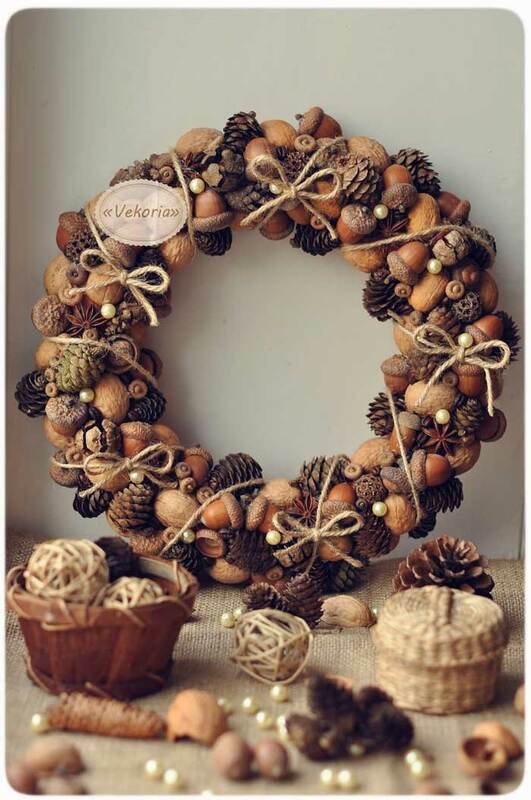 Pine cone crafts are quite popular in rustic decor and there is a wide variety of unique projects to choose from. Fall is a great time to collect some pine cones that have recently fallen from trees but they do fall, less abundantly, throughout the year so you are not limited to just the Fall. After I have collected a bunch, I like to scrub off any dirt and bake them on a foil lined cookie sheet at 200 degrees for about a half hour all the way up to two hours, depending on the dampness of the cones. This gets rid of any sap or little bugs. You can follow the same procedure that I use for cleaning and drying acorns. Just go to: how to dry acorns for crafts. 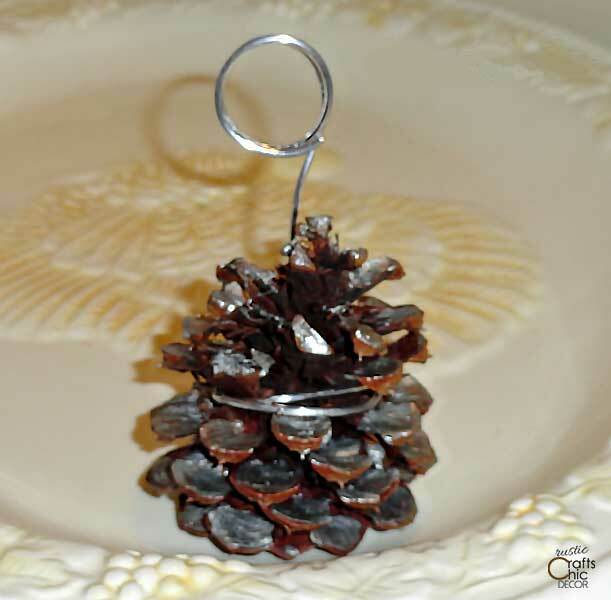 With your prepared pine cones, you are now ready for one of these fun pine cone crafts. 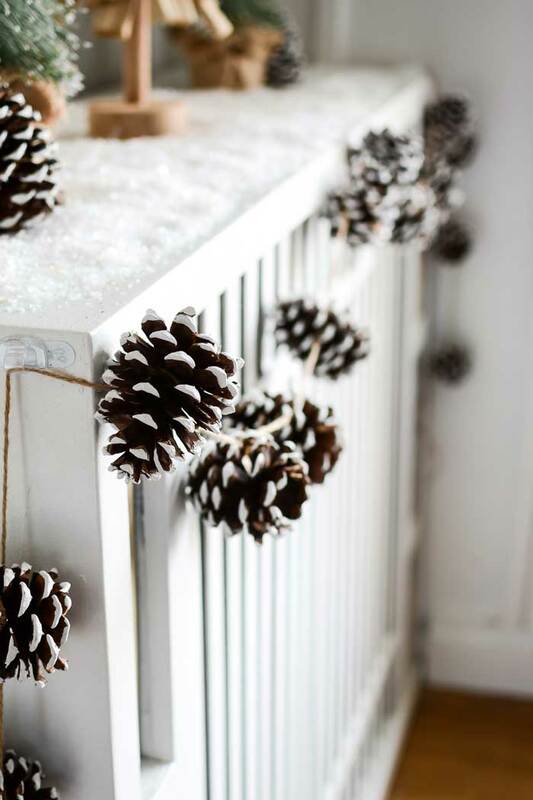 Pine cones are popular for decorating with during the holidays. It’s easy to make things like ornaments, table top Christmas trees, table decor and more. 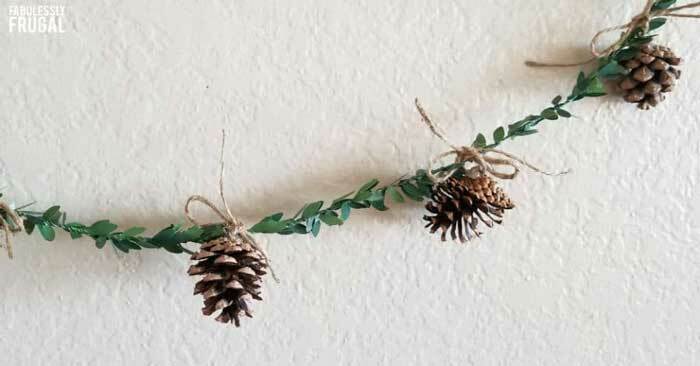 Probably one of the most popular pine cone crafts is the making of garland. It’s surprising all the different looks you can get with pine cone garland. The style changes with what you use to string the garland. And, you can choose to paint all or part of the pine cones to fit your own style. Besides the Christmas tee, this budget friendly garland idea would look pretty draped from a mantel or shelf. 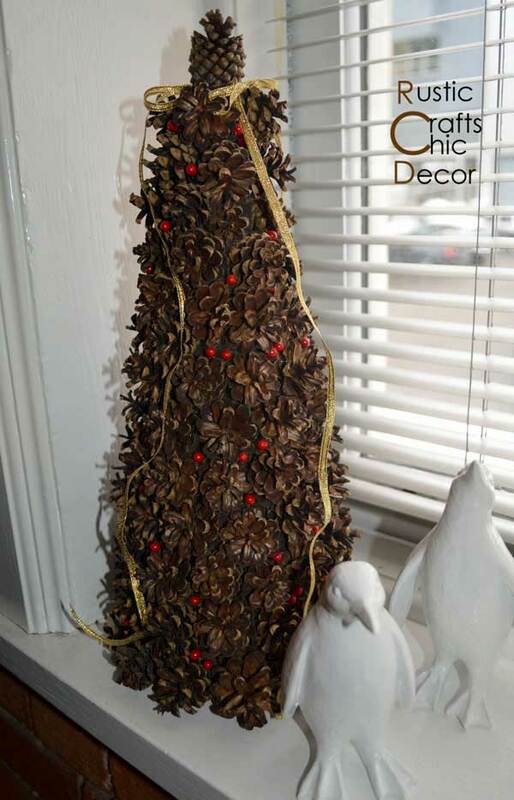 Another way to hang pine cones in garland is to string them together with twine. A simple rustic idea with a lot of impact. Because these pine cones have the tips painted in white, they look more wintry. You could also paint either the entire pine cone or just half of it in a colorful paint. Metallic gold or silver are fun colors to use for a little shimmer and shine. 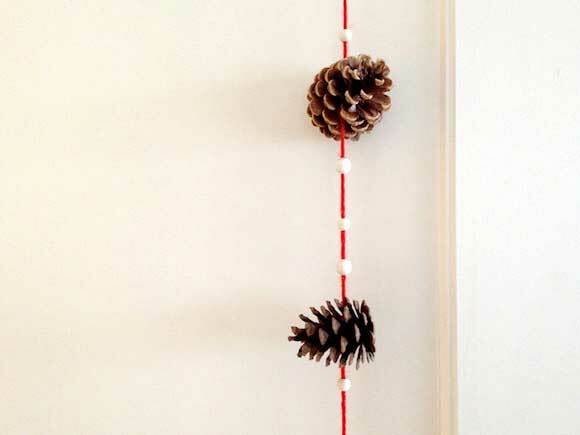 Besides coloring the pine cone itself, another way to add color to a pine cone garland is to string the pine cones with red yarn. The addition of the white beads almost gives this a peppermint candy stripe feel. These place card holders are perfect for a rustic holiday table. However, any rustic dinner party setting would benefit from these holders. They are so easy to make and can be left plain or decorated with any color paint to match your table setting. For an even easier idea, you can leave off the florist wire and just stick the name tag between the pine cone petals. That idea works best with the pine cone laying on it’s side. I had quite a collection of mini pine cones that I used to make a couple of these Christmas trees. They are a perfect size to fill in a tree without creating too much bulk. If you want to give this pine cone tree more height, just set it on a candlestick. This is especially a nice idea for smaller cones. If you prefer a round topiary tree, that can be decorated for Christmas as well. Try using a Christmas patterned ribbon or adding color to the pine cones for an optional look. 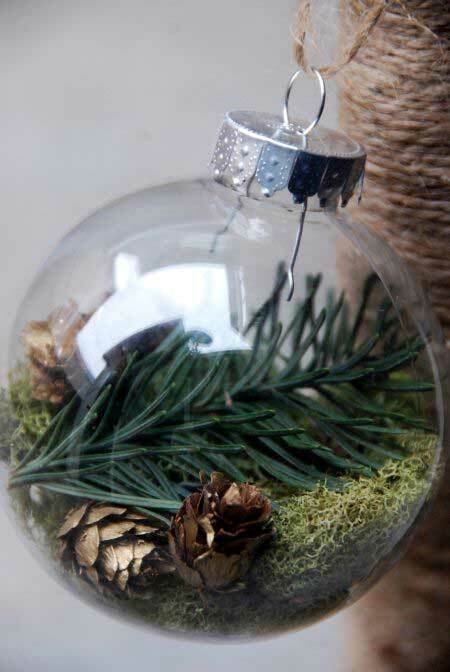 I love this simple idea of filling a clear ornament with some natural elements, including mini pine cones. You can either use pine cones that you collect or simply purchase a bag of mini pine cones from a craft store. Large pine cones are a great size for simply hanging on their own. 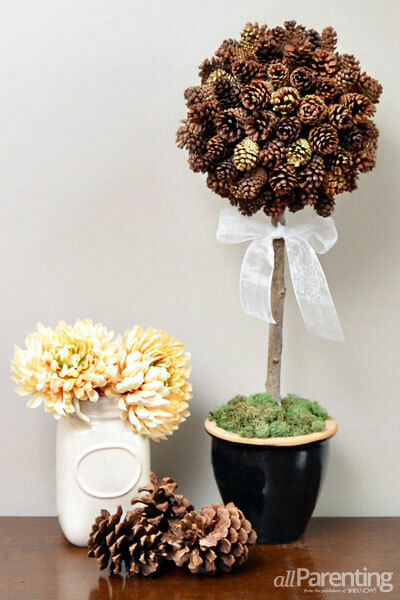 To create some colorful interest, add colored pom poms to the pine cones. 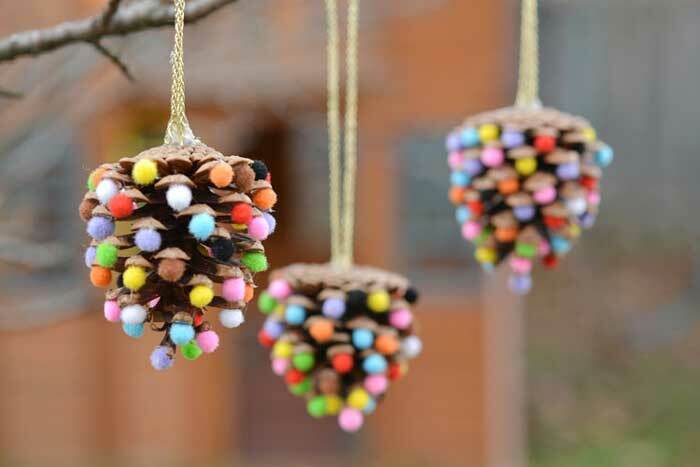 Go for multi colored pine cones like these or use one solid color. 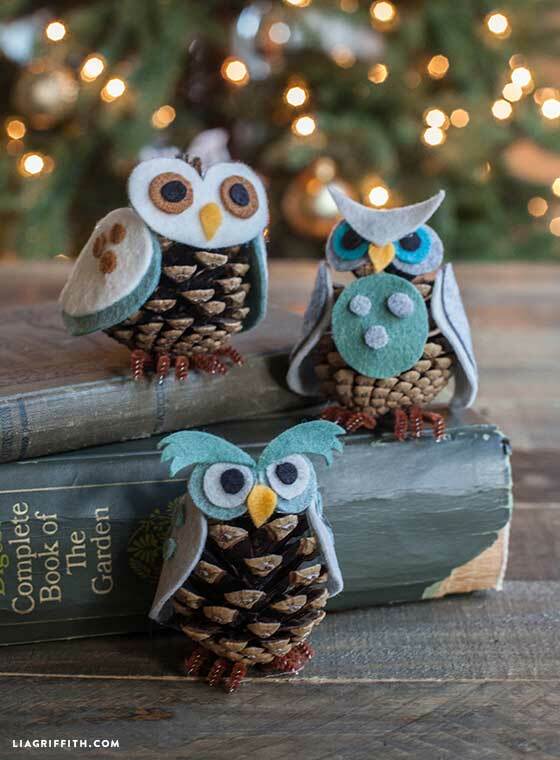 These adorable little owls would look fantastic nestled into your Christmas tree. This may be one of the most unique pine cone crafts! This is such a beautiful idea for a wreath. 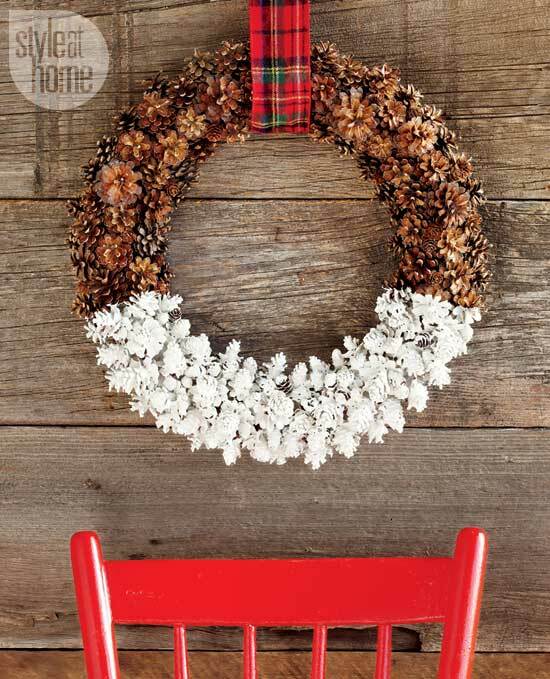 By dipping half of the wreath into white paint, you get a more festive snow dipped look. 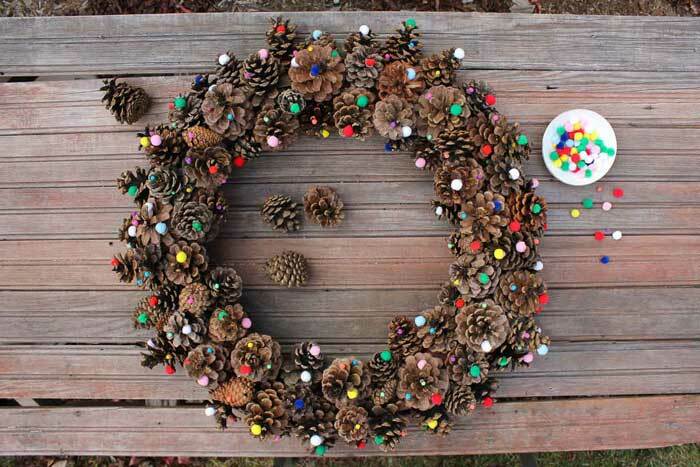 One way to add color to a pine cone wreath is to scatter some colorful pom poms throughout. This project would go well with the pine cone ornament craft above. Since they both use pom poms to add color, they coordinate perfectly. 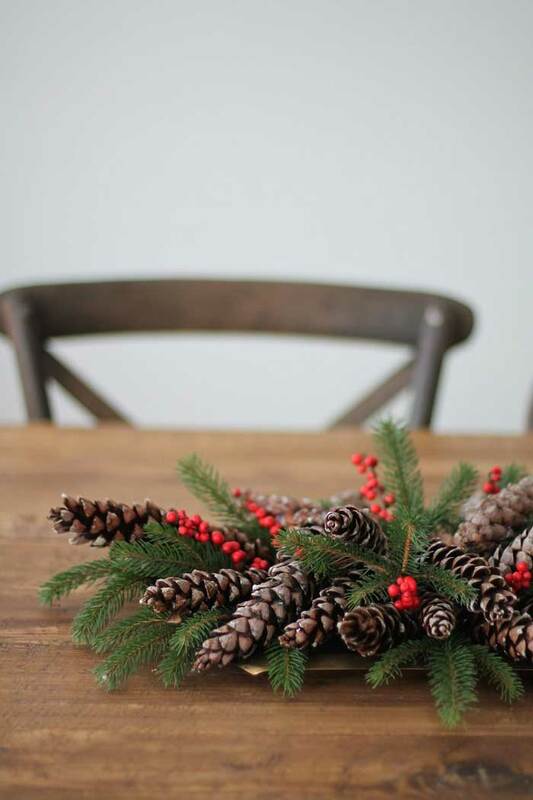 Combine pine cones with nuts for a rustic Christmas wreath that is full of texture. The addition of pearl like beads and some chic styling for the holidays. For another options, the pearl beads could be changed up with red or any other color that you would want to use. These pine cone luminaries are so pretty all lit up. 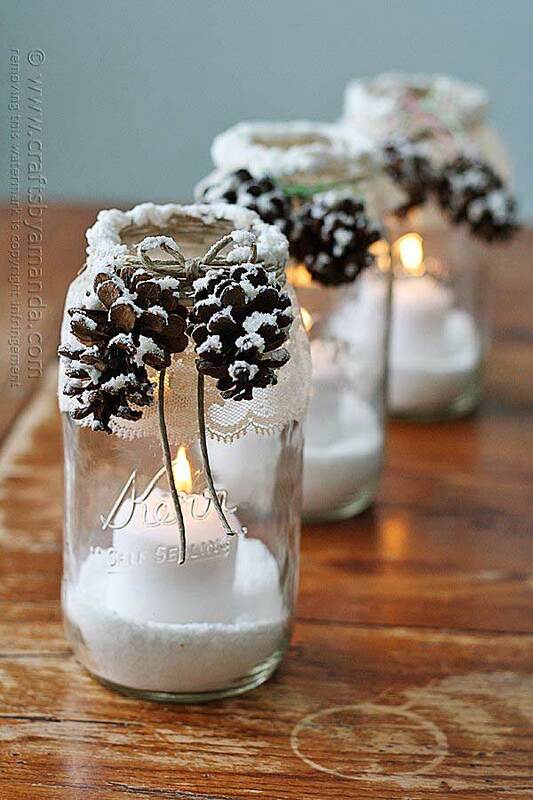 Not only can you use free pine cones but you can also recycle mason jars for this project. This beautiful centerpiece only uses three items and has the perfect styling. What more do you need than a little red and green and rustic? love the pine cone candle holders, what did you use to make the candle holder part, are they available in crafts stores?? ?